Oh, blog. I love you like a sullen teenager – I’m in awe of how complicated you are, and I try my best to hide that I think I’m not cool enough for you! I hope you are happy with your facelift, little blog. What do you all think of the new look? 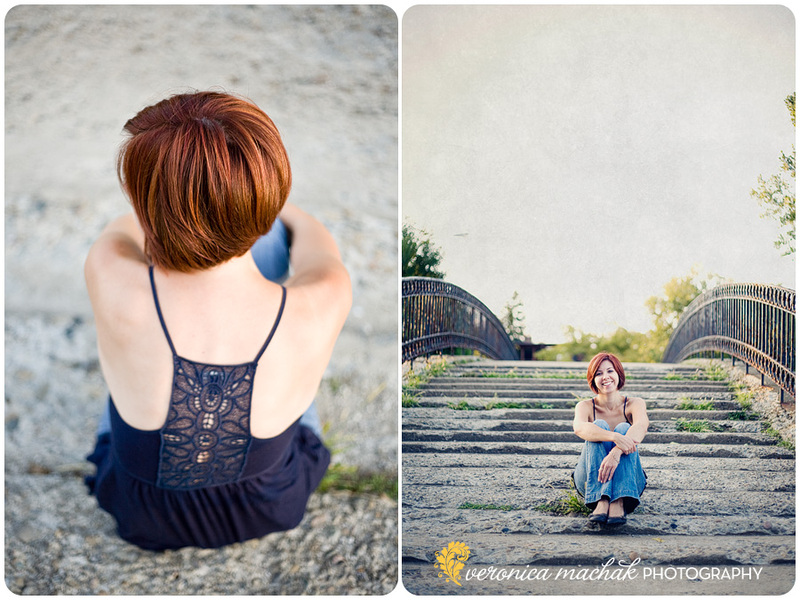 This session with Amanda unfolded like the best kind of shoot – we had an idea of what we wanted to do, and then – BAM! – there was a pink trailer. Well, who wouldn’t seize upon an opportunity such as this? I mean, pink trailers are so hot right now. (Actually, this one was FREEZING COLD and she was a total trooper leaning on it like that!). 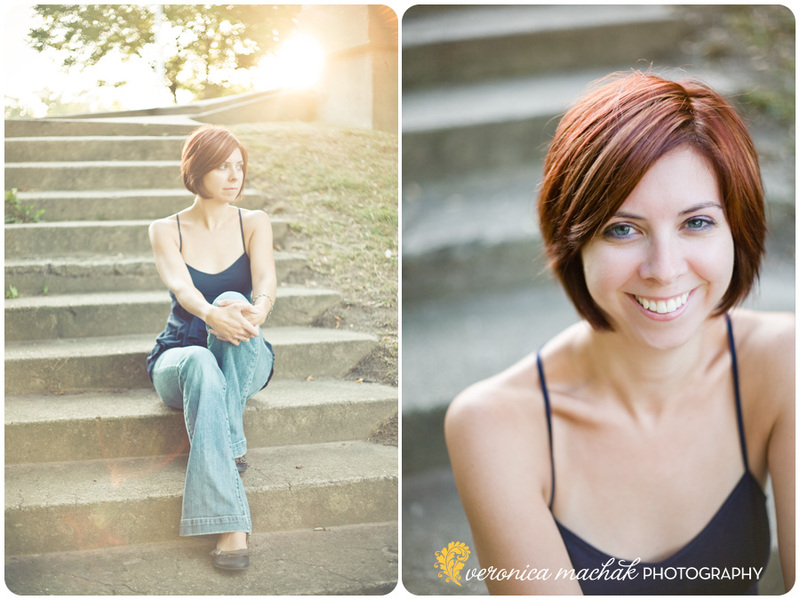 Amanda is looking to get back into theater locally, and this shoot was originally intended to be a headshot session… but then there was a little bit of hanging out at the park, enjoying the tail-end of summer. 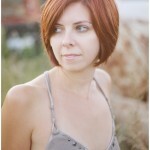 I feel a twinge of jealousy when I look at her fabulous red hair. I haven’t even attempted such a thing since early college – unless you get it just right, red CURLY hair sends a significantly different message, you know? So pretty. At this point, the sun was just about down, and we still had one wardrobe change left. 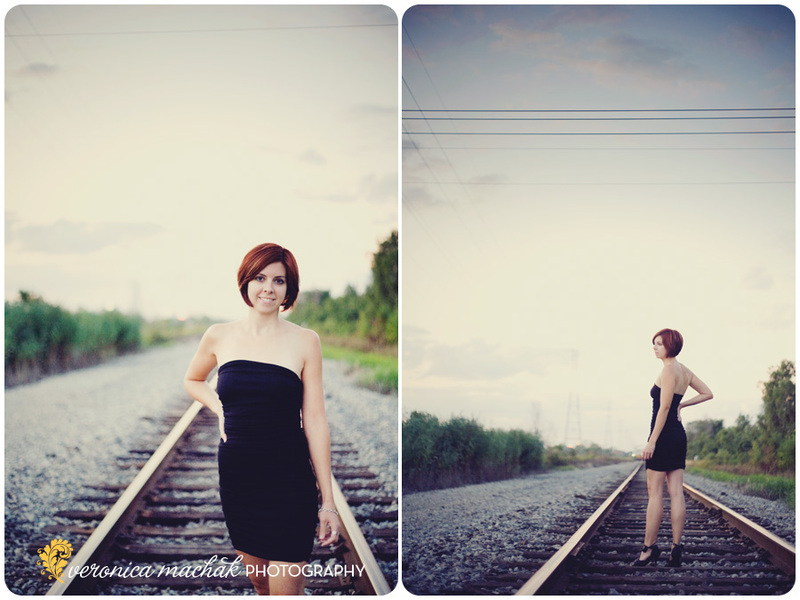 There was no way we were skipping the little black dress, so Amanda jumped up on the tracks and made it work… in seconds! If you want to see the entire shoot, check out the slideshow below.